With Thanksgiving behind us and Christmas just ahead, I want to express some of the things I am (and we are) thankful for. Thirteen months-ago I found Sharon on the floor in a hotel the airlines booked us in due to a delayed flight. 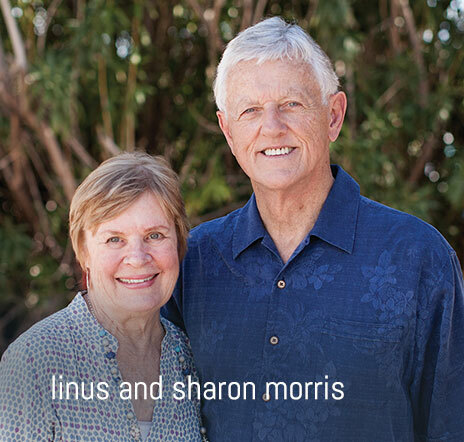 Because of a spike in her blood pressure, Sharon’s entire left side shut down. When she got out of bed, she just wilted onto the floor. She spent three weeks learning anew to use her left hand, arm, and leg. For the past year, she has made progress, regained much of her strength, and is working on regaining her balance. When not traveling, I am her coach and cook. Sharon and I often reflect on how unlikely we were when first married that our marriage would last. I had just turned 20, was not a Christian, and was very combative and immature. Sharon stayed with me though others thought she should leave to protect our firstborn from my influence. A couple years into our marriage I received Christ and began the journey of following and serving Jesus, who turned our marriage from a combat zone to a launching pad of ministry. Our daughter, Kristin and son-in-law Cory who live in Washington State were just with us, allowing me to keep a travel commitment to the Southeast. While she was with us, the horrific Thousand Oaks shooting was followed by the devastating California fires. Our eldest daughter Laina worked at the Borderline when it was a restaurant, and Linus Jr had his 20th high school reunion there. Below is a photo I took of a memorial near where the shooting took place, just paces away from where Sharon and I had a doctor appointment. 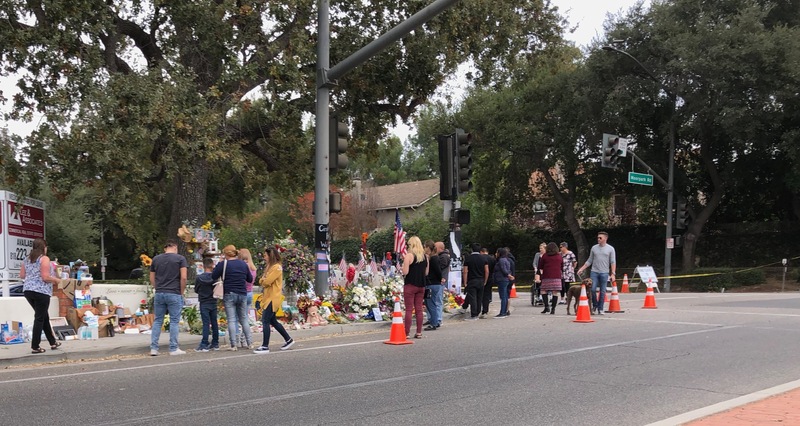 Memorial for those killed in the Thousand Oaks shooting. During the fires, our daughters Stephanie and Leslie, our granddaughter Chelsea, and their families were mandatorily evacuated. Thankfully, all were safe and their homes intact. Sharon and I drove along the Pacific Coast Highway where much of the fire damage occurred. Hillside after hillside was scorched, but we were amazed and thankful for the work of the firefighters who saved so many structures from the fire. 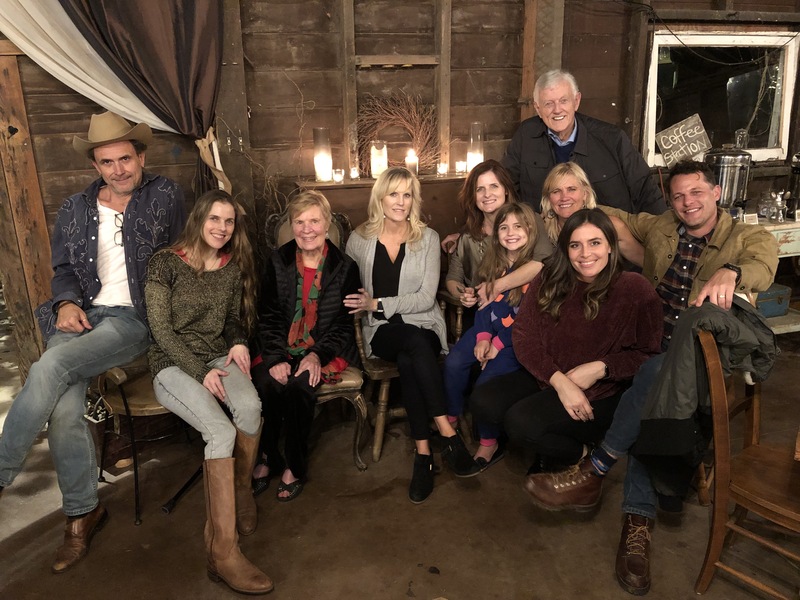 With much thanks we celebrated Thanksgiving with five of our six children and nine of our 21 grandchildren. Four daughters, a son, a son-in-law, a daughter-in-law, a granddaughter, Sharon, and me. This past year we trained leaders in five continents (North America, South America, Europe, Africa, and Asia) and 15 cities. We launched Global Training Network’s Divine Expedition training in Nepal and Ethiopia, and continued training in Brazil and Uganda. What is even more exciting to us, is those we have trained are now training others who are training others. Here is a photo from a training done by the Brazilians we have trained in the state of Pernambuco. “This is our highest possible rating and indicates that your organization adheres to sector best practices and executes its mission in a financially efficient way. Attaining a 4-star rating verifies that Global Training Network exceeds industry standards and outperforms most charities in your area of work. Your partnership in prayer and giving encourage us and make what we do possible. This past year through our training we have seen people come to faith in Christ, disciples and leaders develop, new churches birthed (see our November On Expedition update), and existing churches strengthened and grow. “ I love supporting you. You may smile or roll your eyes, but I look at tithing like an investment portfolio. Three buckets if possible: safe yield, speculative yield, and huge ROI [Return On Investment] yield. You always tithe to the safe, secure investments: that would be the church. You also give to small cap stocks with big upside: those would be young missionaries who haven’t proven their ability yet [he names two organizations here] but have a ton of energy and therefore upside. Think that didn’t encourage us! As we close the year and look forward to ministry opportunities of developing leaders in 2019, please include us in your year-end giving. We couldn’t do what we do without you as our partners in ministry. MOST OF ALL I AM (AND SHARON IS) THANKFUL FOR OUR LORD JESUS CHRIST WHO CAME INTO THE WORLD TO SAVE AND REDEEM SINNERS LIKE ME!